‘Before Twilight turns to Night’ was recorded, mixed and mastered by Kamal Engels in the Art of Audio studio, Mullumbimby, with a stellar cast: Thierry Fossemalle, double bass; Dave Sanders, drums; Tunji Beier, drums & tavil; Rick Fenn, guitar and vocals; Thomas Veitch, cello; Andrew Clermont, violin, mandolin and banjo; Kamal Engels, fretless bass; Leigh Carriage and Parissa Bouas, vocals. 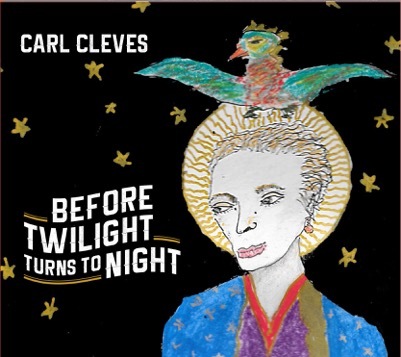 In this original musical biography Carl Cleves lets 55 of his poetic song lyrics prompt a rollicking road story, a confession, a personal history, musical insight, philosophical musing, a brief essay, a spirited escapade or a parade of companions or inspirational figures. 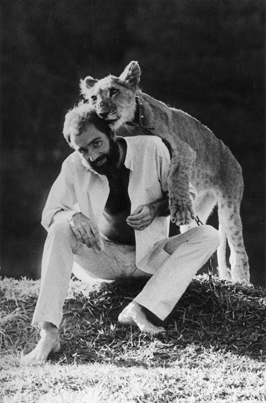 Whether at a reburial ceremony in Madagascar, a murder in Bethlehem, on the road in the back country of Brazil, busking in Barcelona, at a press conference in Madagascar, lost in Leipzig or seeking oblivion in the Pacific islands, Book of Songs will enchant lovers of music, travel and whoever believes that dreams can be made real. This edition is only published in a digital version since it includes over a hundred photos and drawings, while hyperlinks refer to audio files of songs and live video clips. It will go on sale on January 31, 2016, but all friends and supporters can download it for FREE before then. You will need a Mac computer or iPad. 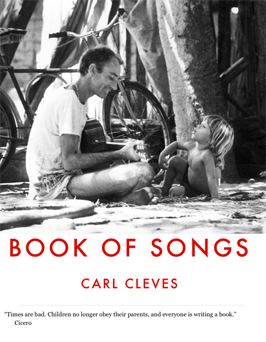 Go to iBooks: Carl Cleves ‘Book of Songs’. ‘Tarab’ is now also available in digital format. Transit Lounge Publishing has released a fully revised and expanded new edition of ‘Tarab. 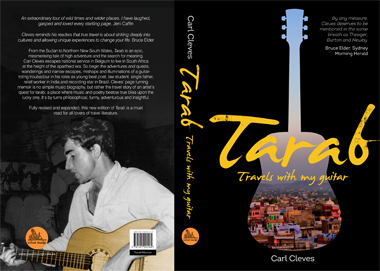 Travels with my guitar’, Carl’s book of road stories which sees the book increased to 400 pages. A must read for all lovers of travel literature. NEW Stockfisch Records CD out now! The new CD by Carl Cleves and Parissa Bouas titled ‘Halos round the moon’ is out! Production is by Gunter Pauler, recorded at his famous audiophile studios in Northeim, Germany.